Six years ago, tomorrow, I made my first blog post. I first learned how to crochet using some random colors of Red Heart Super Saver yarn, a 5mm Susan Bates hook and a DvD that today I don't recall the name of. I used my old laptop to watch this DvD; continually pausing, rewinding and replaying each segment, then sitting and just practicing and practicing and practicing. 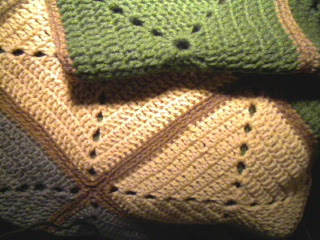 At first, my stitches were so tight, I swear they were squeaking, but eventually, I did get better with stitch tension. I wasn't very good in the color-choice department back then either. The more I looked at other projects and how colors were chosen, the more I wanted to make my own palette. I truly believe that the colors make the blanket. 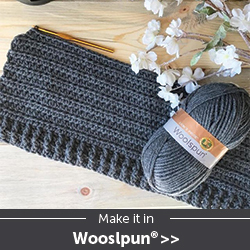 I have seen some blankets around the web, with what seemed like a fantastic stitch pattern, but the color choices just turned me off to the blanket entirely. There didn't seem to be any cohesion between the color layout and the stitch design. 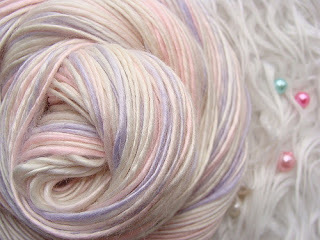 My blog started out as missedstitches.blogspot.com. And the pastel squares above were some of my first granny squares. I loved making Grannys, but like most crocheters, I loathed connecting them! I settled on a single crochet joining method and went from there. This blanket never got completed as I grew tired of trying to connect them just right plus it was so tedious! I was inspired by a blanket I seen on Red Heart, and tried to make my own version. Which is how I came to designing my own- through inspiration from other patterns! 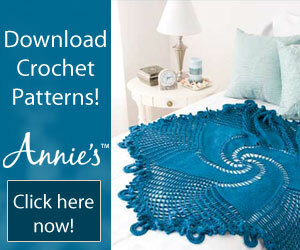 Today, it's Missed Stitches Crochet at www.missedstitches.com with 23 patterns and counting! I may not put out as many patterns every week as some other "popular" sites out there, but I do the best I can because I try very hard to be as close to original as possible!